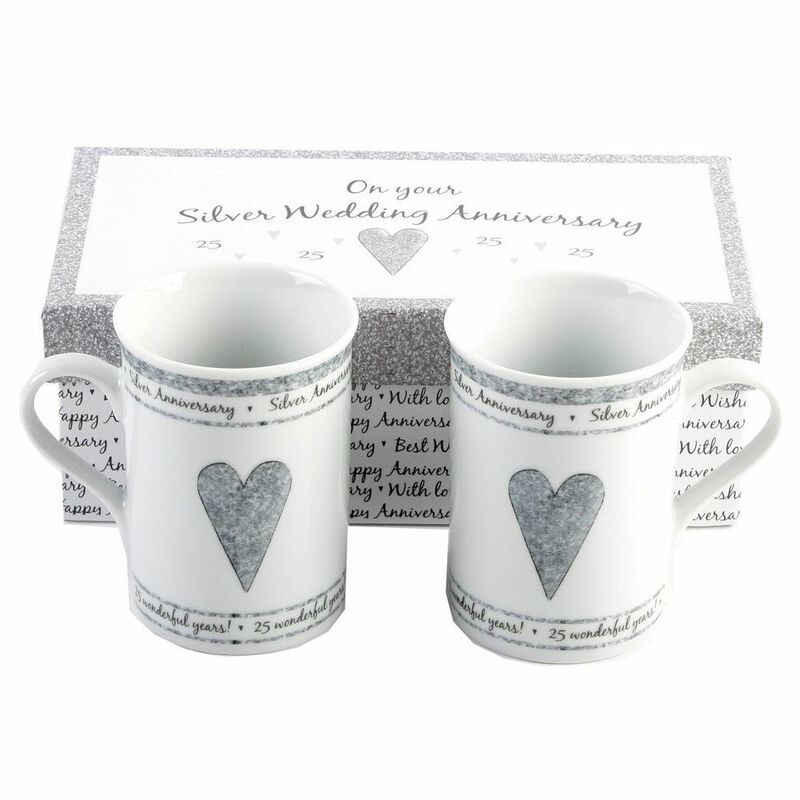 A pair of ceramic mugs "Silver Anniversary" and "25 wonderful years" with silver lettering and silver hearts. An ideal gift for the happy couple after 25 years of marriage. Finally an anniversary gift that will get used! Complete with beautiful presentation gift box. Each mug measures approximately 4" in height and 3" in diameter. 30 Day free returns policy with this product.